Another blast from the past today. 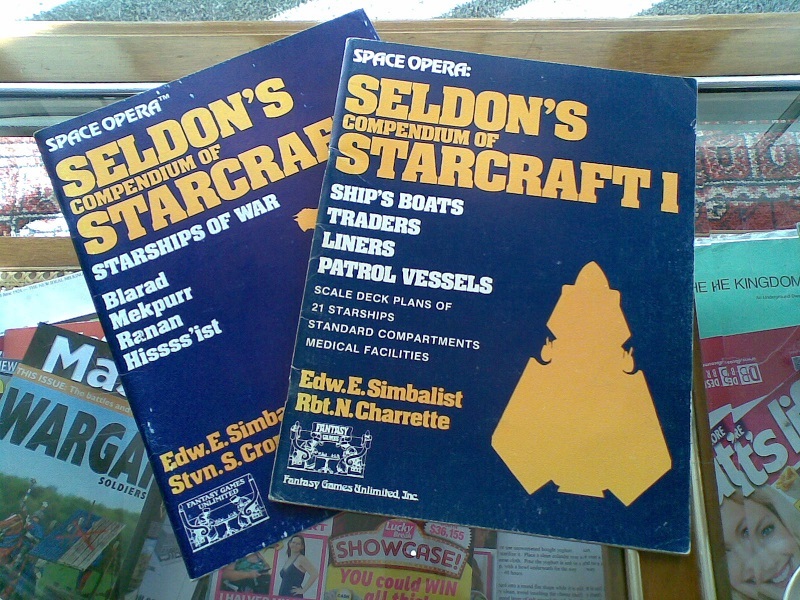 Back in the early 80s I first discovered Fantasy Games Unlimited’s Space Opera science fiction role-playing game. A few friends and I sat down and tried to make characters. It wasn’t hard so much as somewhat tedious. Trying to figure all the pre-requisite skills for your Armsman became a chore when you wanted to get gaming. 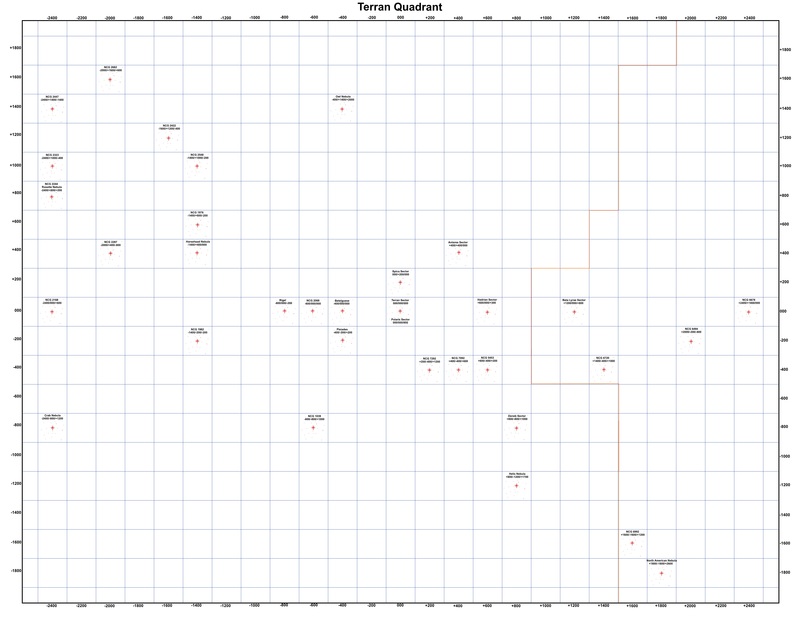 We reverted back to using Traveller for character generation. 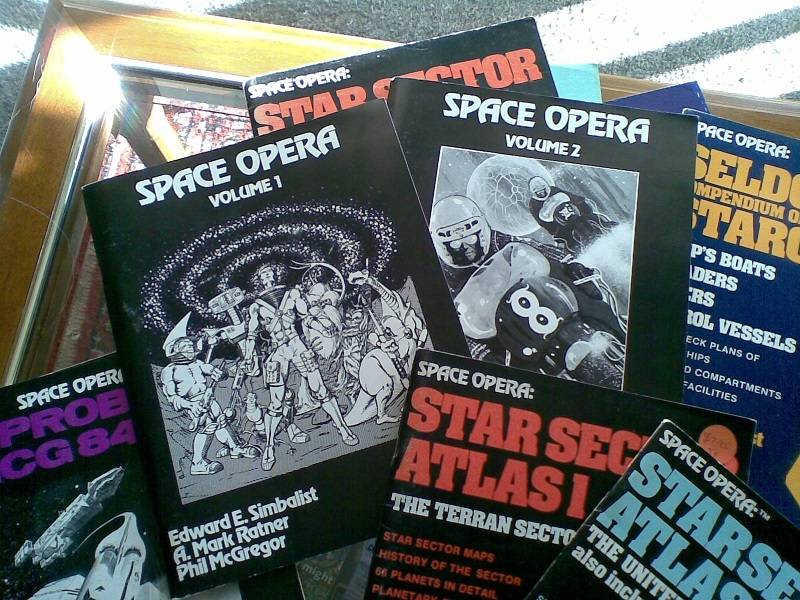 However, I really liked the background of Space Opera – a mish-mash of science fiction staples of the time. There was the United Federation of Planets (obviously from Star Trek) but with a completely different style. There were Robert Heinlein’s Bugs from Starship Troopers. Hell, the Federation Marines were even called CAP troopers. 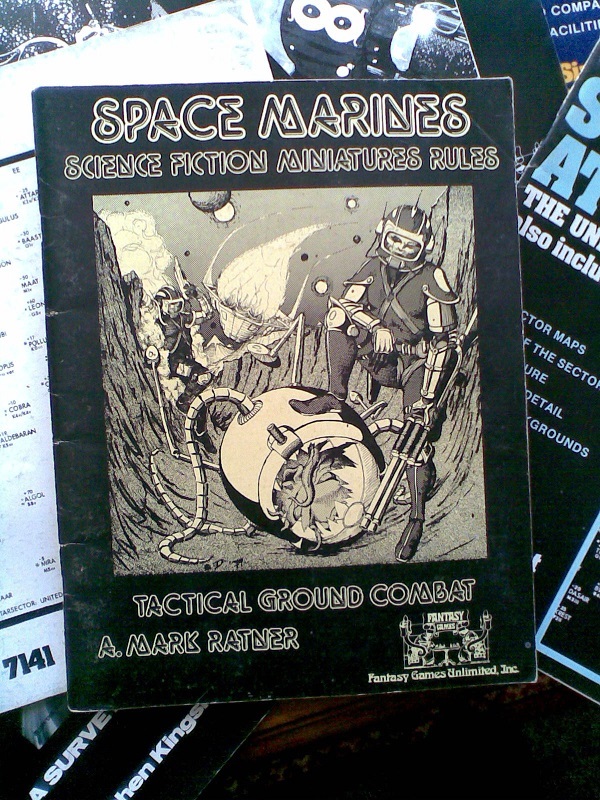 The associated Sci-Fi Miniatures Wargame was called Space Marines (again long before Games Workshop tried to claim ownership of the term). The Federation’s biggest enemy was the Azuriach Imperium, an evil totalitarian racist state that actually farmed and cooked intelligent aliens – Space Turkey. 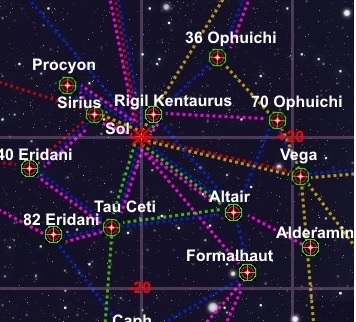 I ended up doing what all good GMs do – I ran a Traveller game set in a Space Opera inspired setting. Converted lots of the ships over to Traveller versions and still have the paper deckplans. In a few years, there were a whole heap of material published. 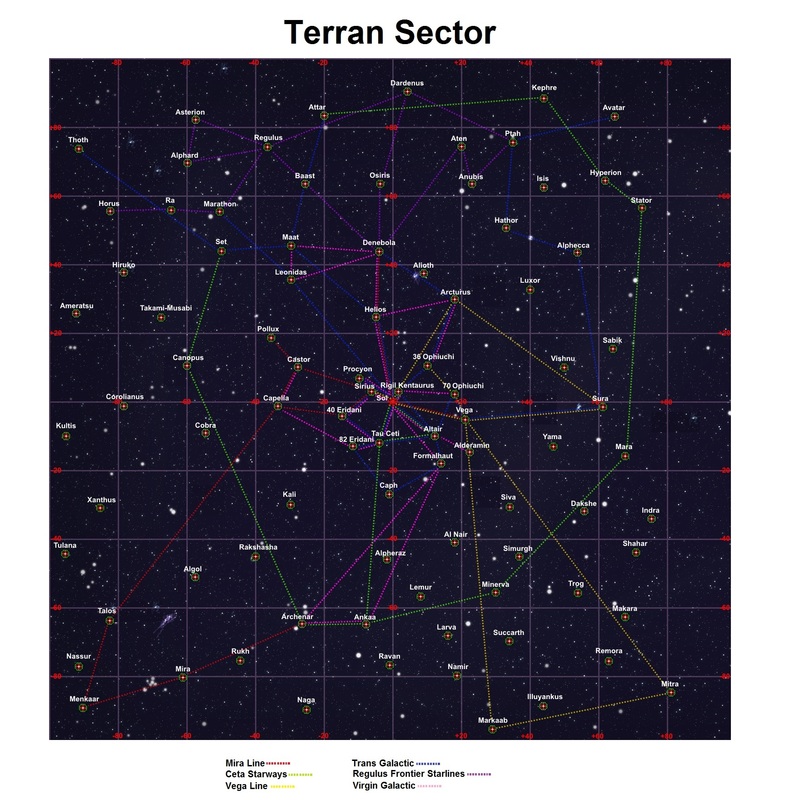 There were about half a dozen Sector Modules published. 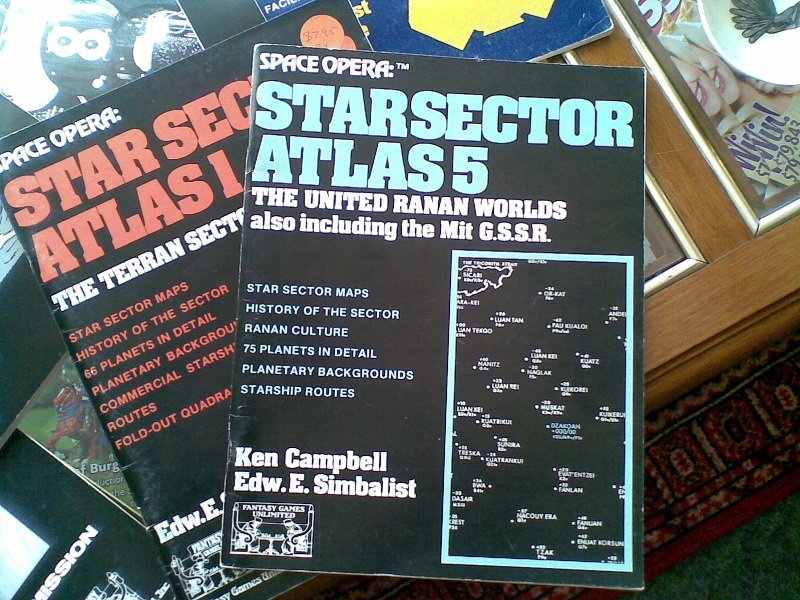 These covered most of the major power centres of the official Space Opera setting. 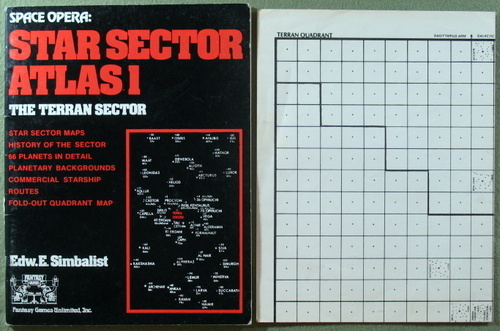 My favourite is still the first – The Terran Sector. 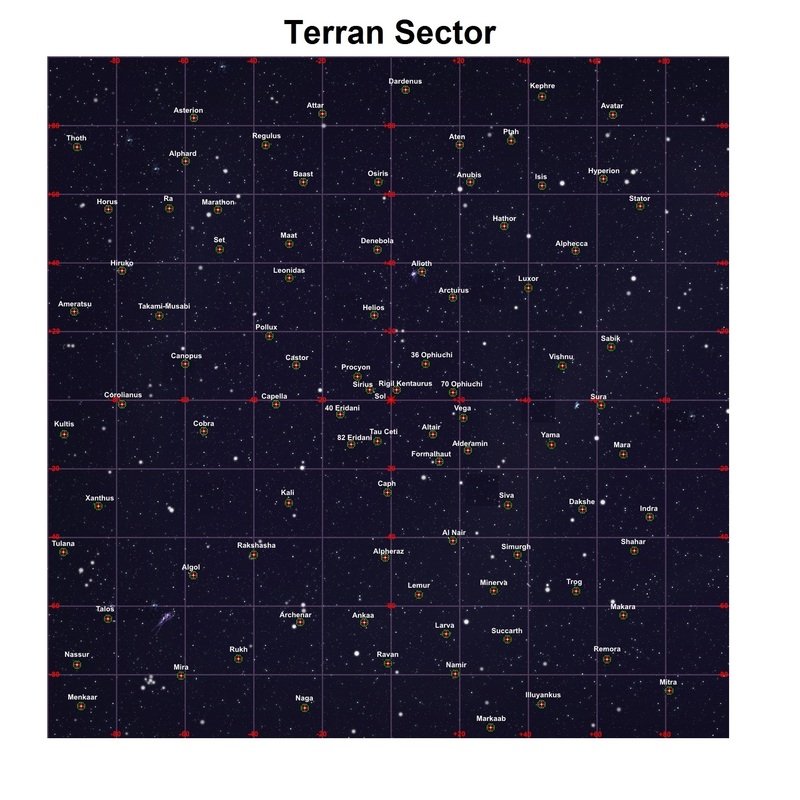 Each sector encompassed a 200LY Cube. As much as I liked Traveller I really preferred the FTL used in Space Opera. It presented space in three dimensions as opposed to Traveller’s two dimensional hex-based star mapping system. 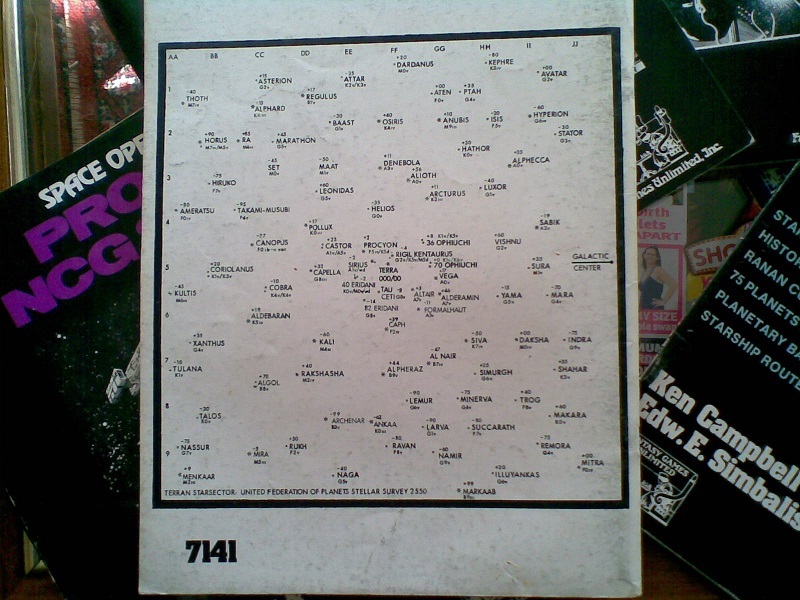 All you needed was a ruler and a slide-rule/calculator (or your head if you were into that sort of thing) and you could determine distance between stars in Light Years on the map. Starship construction rules, like pretty much everything in this game, probably worked better if you were the guy who wrote the game. Even looking at the official starship designs it was obvious that the authors fudged the rules something chronic. I have tried to retro-engineer some of the designs and they almost always don’t add up. I have collected every bit of official material published by FGU and sanctioned by them for this game. That even includes the Star Sector modules for a lost colony of humans who are enslaved and in rebellion against a race that look and sound like Klingons! There are lots of published adventures as well to give you a feel for the setting. If you like retro sci-fi I cannot recommend this game enough. If nothing else you will get a good laugh and have some fun reading through the various books. Originals are still available pretty cheaply from time to time from places like Noble Knight Games and of course from eBay. DrivethruRPG also sells PDF copies of most of the material – often at quite a discount. UPDATE: I just found out on TMP that FGU are still in operation. Who knew? Here is a link to their site where you can still get product directly from the publishers themselves. 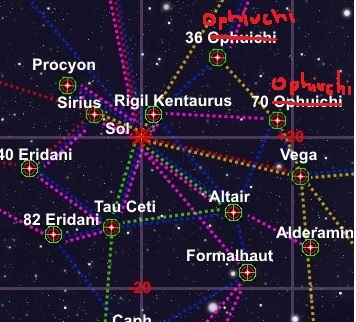 UPDATE 2: I have or am going to convert some of the ships from this game to Traveller versions with electronic versions of my paper deck plans. Keep an eye out for them.